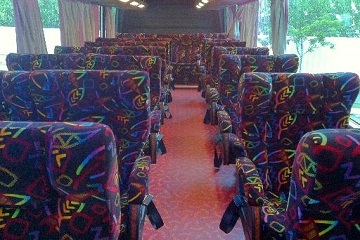 Superior Coach & Tour Pte Ltd was incorporated in Singapore in 1990. The Company offers both local and international tours-Malaysia, Thailand, Vietnam, China and Educational tour, MICE as well. Through its partnership with Keio-Sca International Pte Ltd, Superior is able to provide an integrated tour and coach services to its customers. Keio-Sca's fleet of car, van and coaches is licensed to travel in Malaysia and this enables Superior to bring tour groups directly from Singapore to Malaysia. 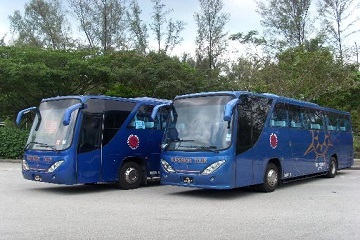 The type of coaches include: 10, 12, 26 (Super VIP seated), 40 & 45 seated for wedding, office and factory workers within Singapore, to Malaysia and Hatyai. The company core values are: Excellence service, Trustworthiness and Superior value for customers. 200 Jalan Sultan, #01-26 Textile Centre, Singapore 199018.